The business world is changing rapidly; the world is getting smaller and employees are more mobile than before attending to everyday’s business’ requirements all over the world. Employers on the other hand need to cope with the change and adapt to make sure that the business stays relevant along with its workforce best practice and culture. Nonetheless, changing the business style and adopting a new business process must not be done hastily without having an effective monitoring mechanism in place. Letting mobile employees scatter with excessive freedom can backfire when the end results do not meet the company’s objectives i.e disappointing sales figure, missing deadlines, lack of discipline and so on. 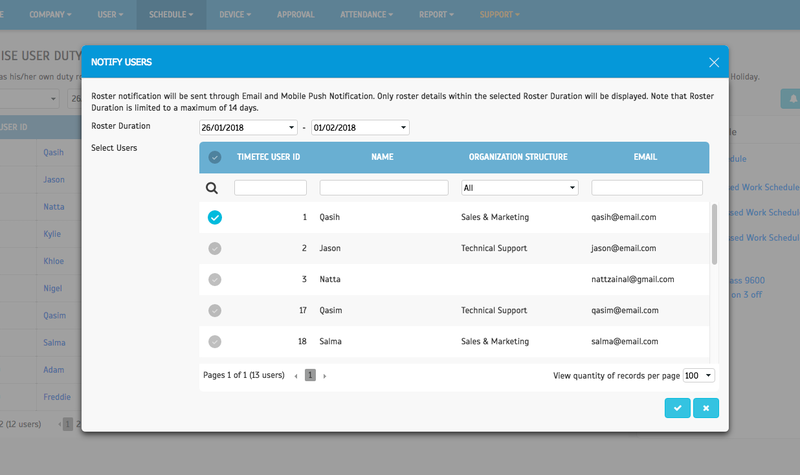 • Cloud-based workforce time attendance solution should be on top of the list because with cloud, the solution can provide the employer with up-to-date information at all times, in real time and the data will be accessible through the web and app anytime of the day. 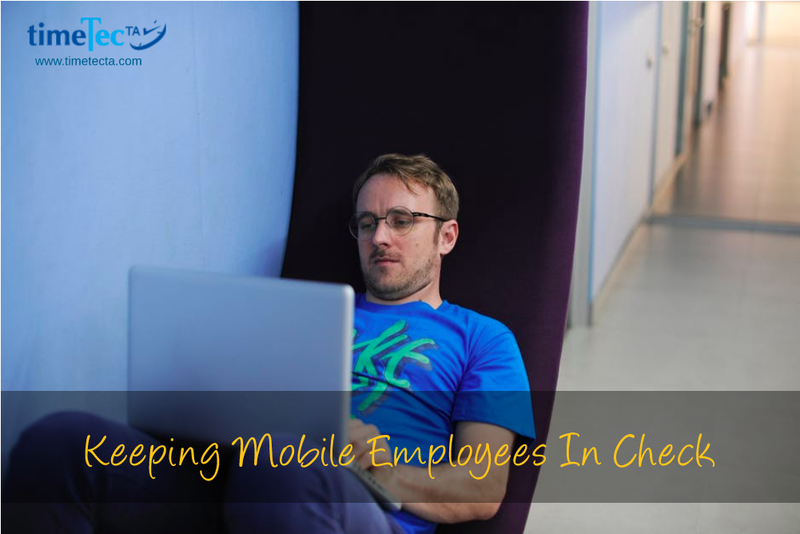 • Managing mobile employees also requires mobile application solution that is not only fit to the business’s requirements, but also flexible enough to attend to sudden change in plan. • On top, the solution must cater a two-way communication between the office and the employee, between the superiors and their staff. As with many other terms used in business, this can be a commonly heard but not so clearly defined term. However, for our purpose, we’re referring to those who are supervising frontline workers on a daily basis so you can also call them direct managers. These are the people with a significant influence over the staff and achievement of your regular business activities, whether it’s providing service to a customer, selling your products or even running a factory’s production line. Depending on their workplace, line managers can have a large role in staff administration, as their duties usually include supervising work, staff motivation and engagement, performance management and disciplinary procedures. In this daily task of managing people and their performance, one of the issues they will inevitably have to address is employees’ absence. While staff taking days off for various reasons is expected routine, line managers will usually be concerned about unscheduled absences, especially if they occur regularly. A typical example is sickness absence, where the manager will be forced to make arrangements for changing shifts, searching for replacements or negotiating deadlines. Having to deal with this constantly will surely impact a team’s productivity. So what can they do to mitigate this absence? In an advisory booklet provided by ACAS, the UK’s public advisory body for industrial relations, employers are recommended to tackle employee engagement, as it has found that the more employees are committed to their jobs, the less likely they are to be absent . To improve staff commitment, measures proposed include providing good and safe physical working conditions, better job design, training, career development and emphasis on teamwork culture. Overall, these are organizational level approaches and requires Human Resource (HR) intervention but a large part of implementing changes ultimately falls on the managers. Line managers are also essential in establishing good communication, as you need to consult the staff to work out these issues. Another way these direct managers can contribute is by proactively monitoring and managing their staff’s sickness absence, a role that is traditionally within HR’s scope. 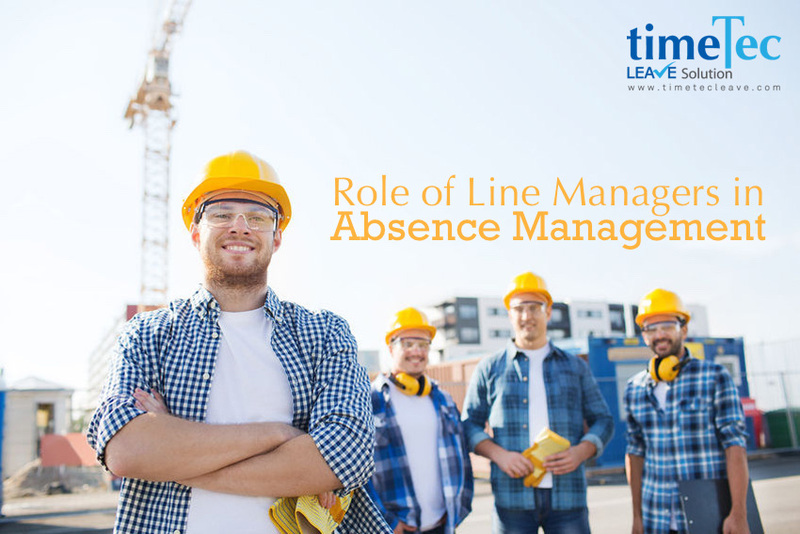 In a poll of 339 employers done by Expert HR, it was found that most employers consider a line manager’s role as key to successful and effective absence management and in reducing both short- and long-term sickness absence . Those respondents generally believe that for short-term absences, line managers can reduce unnecessary sick leave through proactively measuring and managing the days off, using return-to-work interviews. Meanwhile, for those with long-term sickness, a managers’ role would be to keep in contact with the staff regularly in order to initiate any intervention and support options. As mentioned earlier, the active personnel management role above is originally HR’s specialization. In recent years though, there’s a growing trend towards shifting HR’s personnel management work to line managers . While there are both advantages as well as downsides to this strategy, what’s critical is that HR professionals need to provide adequate help to the managers who are given this role. Otherwise, the manager’s best intentions can be foiled by a host of problems. For example, organizations can’t directly prescribe a policy for absence management and expect that line management practice will follow accordingly. There are many potential implementation kinks such as contradictory policy requirements, weakness in training and lack of specialist support that can undermine line managers’ efforts . If they take a wrong approach, the managers also risk contravening anti-discrimination regulations. For the list above, you could start to fulfill by entrusting the right people to formulate strategies or policies that best suit your organization. There’s no easy solution though and at the end of the day, actual implementation is possibly the trickiest part of this. How should we expect the managers to monitor attendance of each staff and identify absenteeism issues while also coping with all other demands on their time? An automated system that eliminates the need for manual applications, approvals and forms submissions to the HR for processing - Picture saving the time that line managers have to spend on processing, tracking and filing the application forms. This may seem minor but if they supervise a large team, it will all add up to a heavy task. 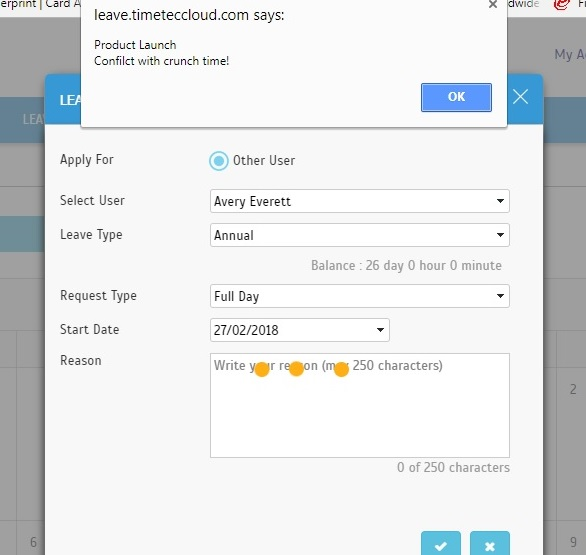 Cloud-based leave system comes with multi-user access that is available worldwide to help maximize benefit from the information - Line managers can easily access and view real-time leave information and reports so that they can proactively measure and manage their teams’ days off. As previously mentioned, to actually enforce an absenteeism policy can be a real challenge, given there are time constraints. Without ready access to past records, it’s difficult for a manager to keep track and identify if there are any absenteeism issues that should be addressed or provide feedback on this matter during performance appraisals. At the same time, users also get fair access to their own balances and records so they can be more accountable for their absences. Leave records will no longer be contained solely for HR’s access where it provides limited benefit for management. Leave Overview displays calendar for information sharing - This is another convenient feature for people who work together in groups. Line managers can at least control their team’s scheduled days off (e.g. annual leave) so they usually need to take care while approving such leaves and ensure that there are sufficient people remaining in case of emergencies. To cater to that, we provide a Leave Overview so that managers can view the exact number of approved off-duty users so far for an upcoming day. Even if they can’t prevent staff shortages (e.g. holiday period), they can make plans to prepare once there are confirmed dates. In addition, before managers schedule important events or negotiate deadlines, they could also benefit from having such staff availability information while making plans. On the flip side, the staff themselves can use this for planning their leaves and minimize clashing dates so that there are higher chances of successful applications. System Roles & Admin function allows you to appoint user(s) as Admin that is given rights only over selected divisions - Direct managers can be assigned as Admin over their own team/division and therefore be allowed to view records and leave balances only for the staff under them. They will not be able to view users that are in other divisions so that proper authority is maintained. Moreover, they also have the flexibility to apply for leaves on behalf of their team members, e.g. when there is an emergency/user has no access to the internet. Leave Restriction & Crunch time features can be used to manage staff availability and restrict absences during critical periods - When line managers are preparing for upcoming peak/critical work periods, e.g. Product launch event or production peaks, they can set a crunch time in the system to alert everyone and block their subordinates’ leaves for that particular period or use a restriction to limit the number of people that can take the day off. Likewise, if there are staff shortages due to any employee being away on a long-term sickness, managers can use the crunch time feature to temporarily block leave days for the rest of the team until alternative arrangements can be made. Let’s not stop there. 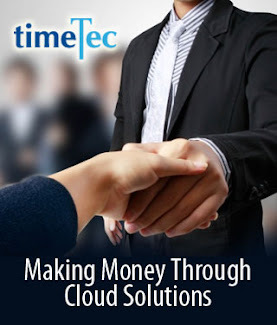 You can also further complement TimeTec Leave with TimeTec TA, our cloud-based Time & Attendance system that automates scheduling and attendance management: Systematically create and update clocking schedules and user’s duty roster - TimeTec TA will make it easier for line managers to systematically make changes to work shifts, reassign or loan staff from other teams or slot in part-time workers into the team’s roster in the event one of their staff doesn’t turn up for work. What’s more, they can do this anytime online and the changes will be updated instantly in staff duty roster. This helps to keep an official trail of workforce changes and also ease HR’s task of maintaining accurate records for payroll, allowance and costing purposes. 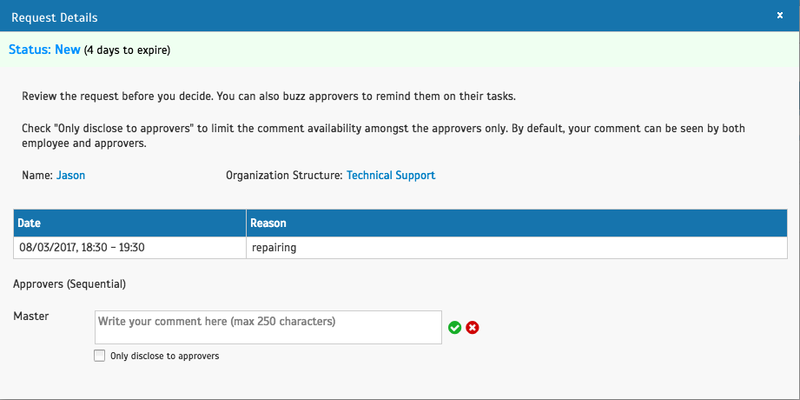 Maintain online Duty Roster and send Notification to users if there are changes in Roster - In the previous point, we already mentioned that managers can make instant changes to staff’s Duty Roster. 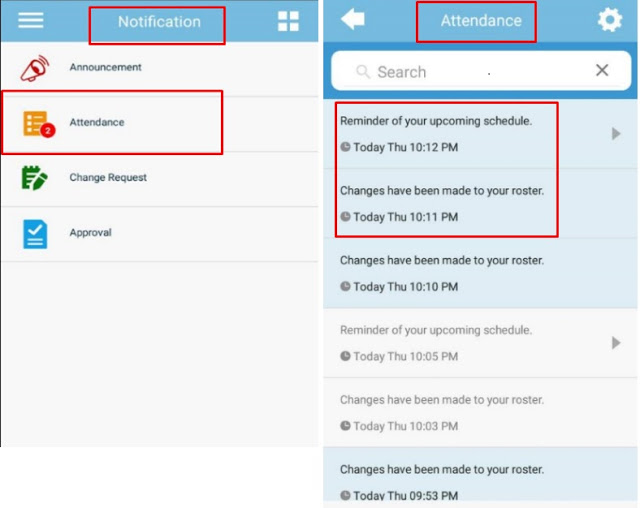 In addition, not only does the staff get to view these latest changes to their working calendar once they log in to mobile app or web, there is also a Notification feature that ensures staff doesn’t miss out on updates. Take advantage of this to automatically send an email and mobile notifications and keep everyone on the same page. 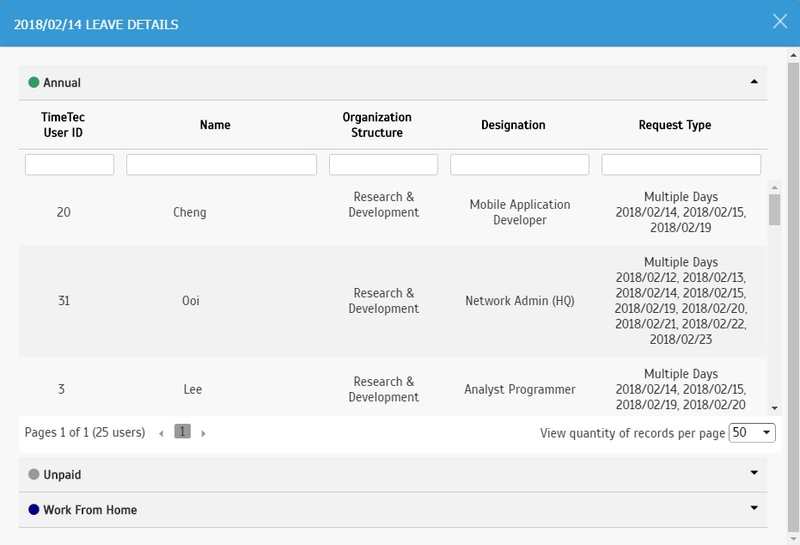 Overtime application and approval are available on both mobile and web application - More often than not, if one team member is taking unscheduled days off, urgent work needs to be picked up by the other staff. This can easily translate into overtime hours and additional shifts. Within TimeTec TA, if you set up overtime rules, managers that request for their staff to take on the extra work can also formally approve their overtime applications so that they receive a fair compensation for this. This helps to maintain that commitment and teamwork we’ve been talking about while the authorization will satisfy payroll requirements. 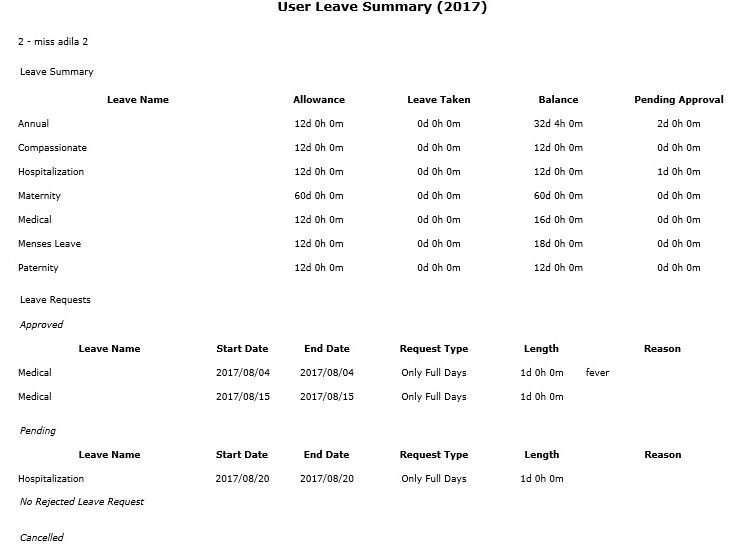 View Attendance data and provide flexibility with GPS clocking feature - By using TimeTec Leave bundled with the TA solution, besides just managing absences for all their staff, direct managers will also get to view their complete attendance records and check for additional issues such as tardiness. Managers who need to supervise mobile staff out on fieldwork also gets to use the mobile GPS clocking feature we provide in the system. 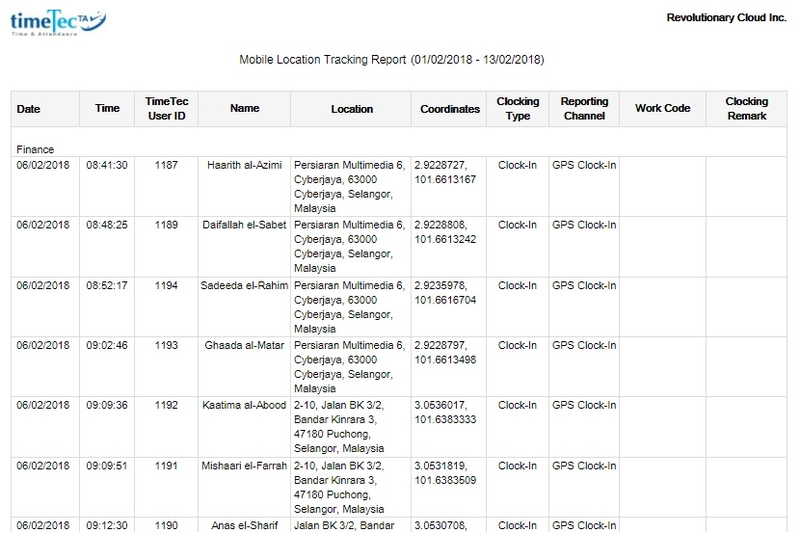 In order to verify that the staff is physically there at various work sites, they can set requirements for these employees to clock attendance while utilizing their phone’s GPS location services. You don’t have to just take our word for it. 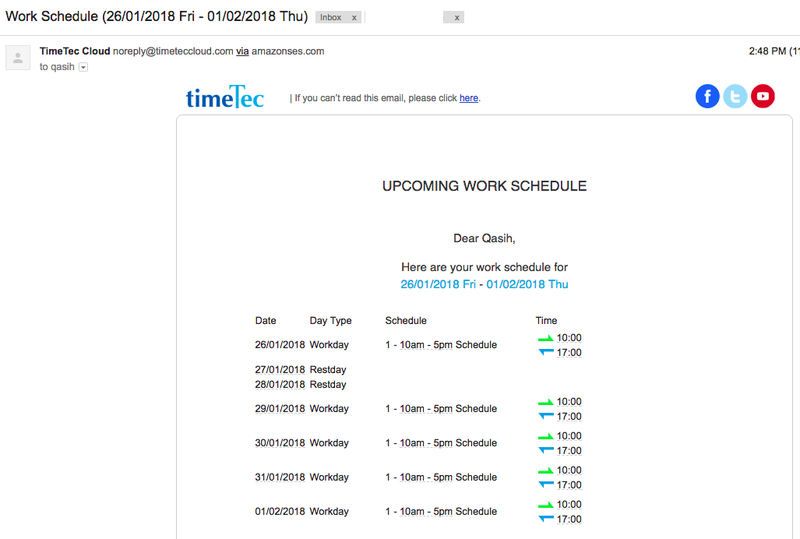 Open an account today for TimeTec Leave & TimeTec TA, and you can try for yourself the convenience of automated Leave and Attendance Management. 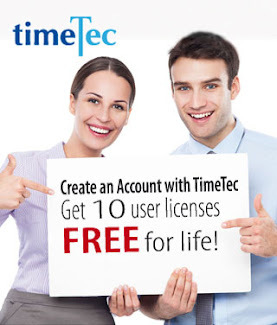 Besides a 30-day free trial for both solutions, we’ll also provide you with 10 user licenses free for life, so don’t hesitate to visit our site to check this out now. 1. ACAS Organisation, (2014). Advisory booklet - Managing attendance and employee turnover. p.11. 2. Paton, N. (2016). Line Manager is key to a return to work after sickness absence. Occupational Health & Wellbeing, 68 (4), p.4. 3. Perry, EL. and Kuhlik CT. (2008). The devolution of HR to the line: implications for perceptions of people management effectiveness. The International Journal of Human Resource Management, 19 (2), pp. 262 – 273. 4. Cunningham, I., James, P. and Dibben, P. (2004). Bridging the gap between rhetoric and reality: line managers and the protection of job security for ill workers in the modern workplace. British Journal of Management, 2004; 15 (3), pp. 273 - 290. The subject of employee leave management is something that the management takes for granted because the assumption now is that the HR knows best. 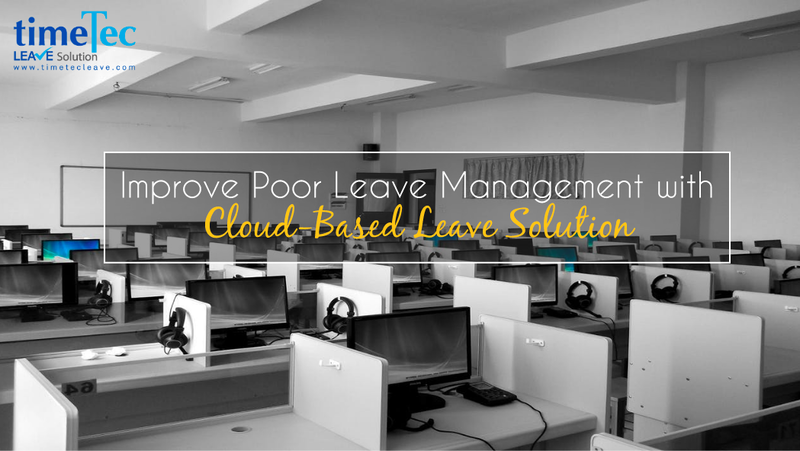 Even though HR might know the process of employee leave management, the compliance it requires, the math of the accrual calculation, and etc but when it comes down to processing a large number of employee leave during busy months without having a proper leave management system; things could possibly go wrong and easily cost the company dearly. • Mismatch in leave balances due to human errors. One factor causing this is when the accrual is NOT properly and timely calculated because relevant data such as years of service and the dates of leave taken are not centralized. Another, is when the leave taken has not been updated timely by the HR personnel. • Failure of HR to update any changes in leave policy on time that may cause a mix up in the overall leave management. • Approval of leaves is carried out without superiors having sufficient information about the company’s requirements and this could spell disaster if the company is working on a deadline that requires key people to execute the plan. • Increased payroll errors due to unaccounted leave transactions which could lead to a legal problem, if it is not being rectified properly. • Employee disengagement due to frustration and lack of trust in the way the management and the HR handle employee affairs.